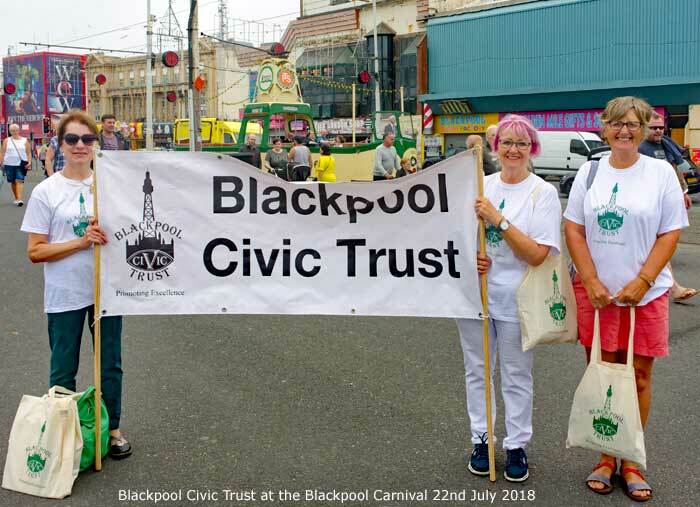 Founded in 1975, Blackpool Civic Trust seeks to promote excellence and community spirit in Blackpool for people of all ages. We are interested in all things Blackpool, particularly its heritage and future for people. We have monthly meetings, visits to places of interest, and community activities such as Civic Week. We'd love you to join us. Starting at 7pm, more information to follow. 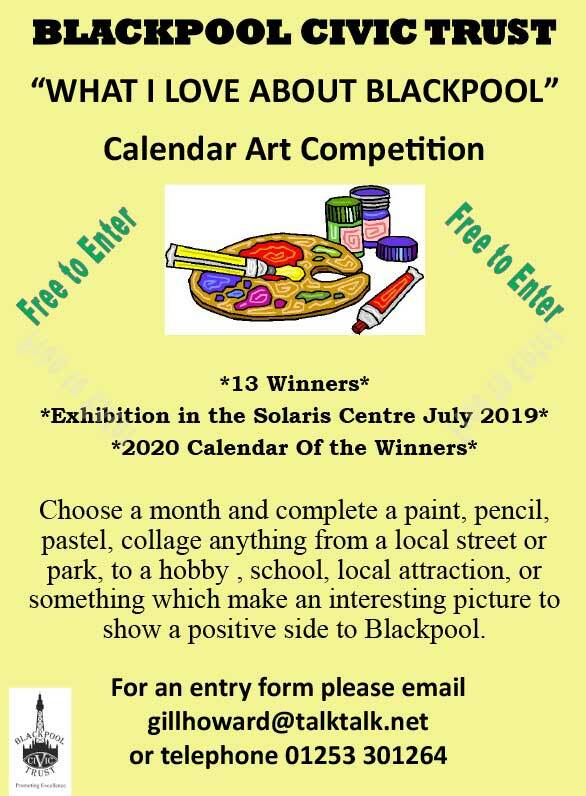 This year Blackpool civic Trust is holding an art competition open to any non -professional artists, schools, colleges and youth groups with an aim to producing a calendar for 2020. We have booked Exhibition space at the Solaris, south shore, for the whole of July next year where the shortlisted artworks will go on display, and the final 13 winners will each receive their artwork framed as their prize. 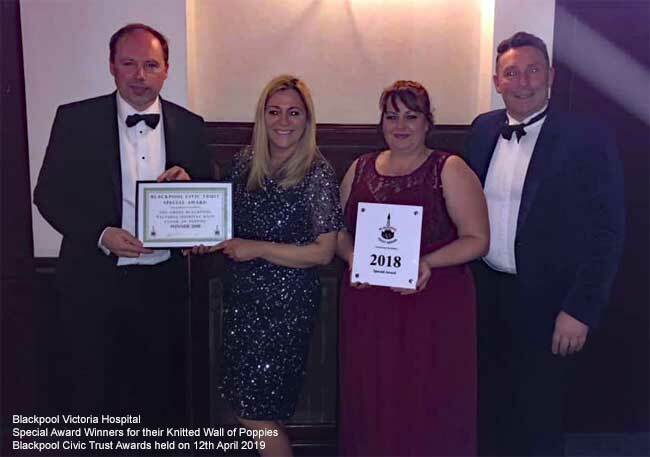 Every year we present awards for the Best Building Work and Community Activities in Blackpool. You can get involved by nominating places and people for an Award. Closing date 31st December 2018. 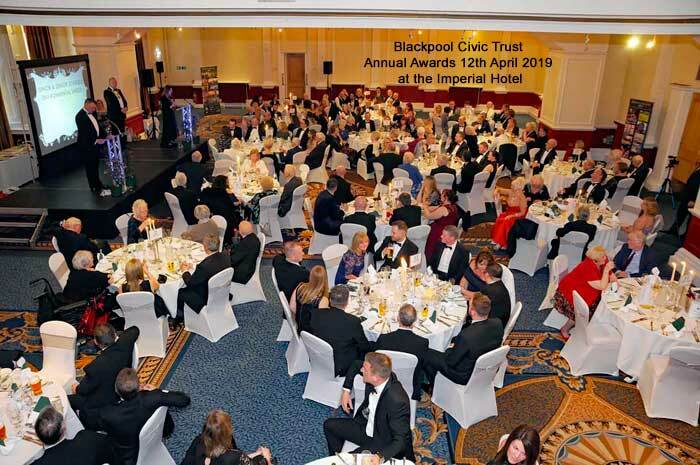 Read about The Blackpool Civic Trust Awards click here. 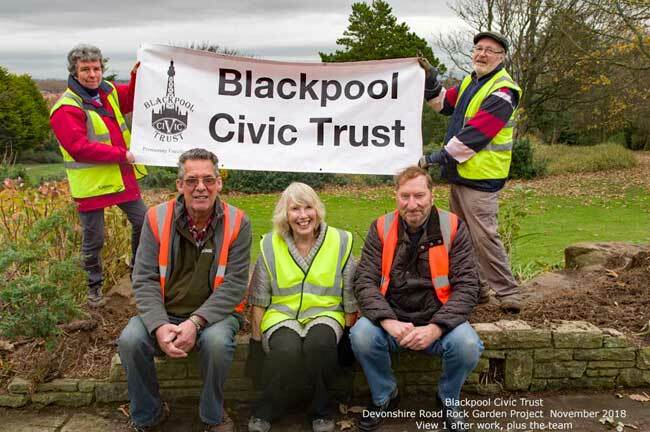 Blackpool Civic Trust has been working with the Friends of the Rock Gardens to uncover and restore the impressive and extensive rock formations of the Devonshire Rock Gardens, which were opened in 1938 and are the highest point in the west Fylde. At present volunteers are working hard on the Vista, where the original large rocks were obscured and sometimes buried beneath overgrown shrubs and the slow accumulation of soil. The view across the Gardens with its two ponds and waterfalls is now much clearer and the attractive rocks in the Vista’s flowerbed are no longer hidden from sight. 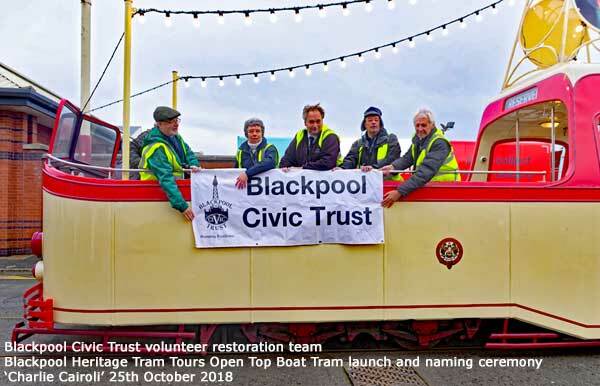 On Thursday 25th October 2018 open top 'boat' tram 227 was rolled out following restoration work in which Blackpool Civic Trust Volunteers played a part on the internals. 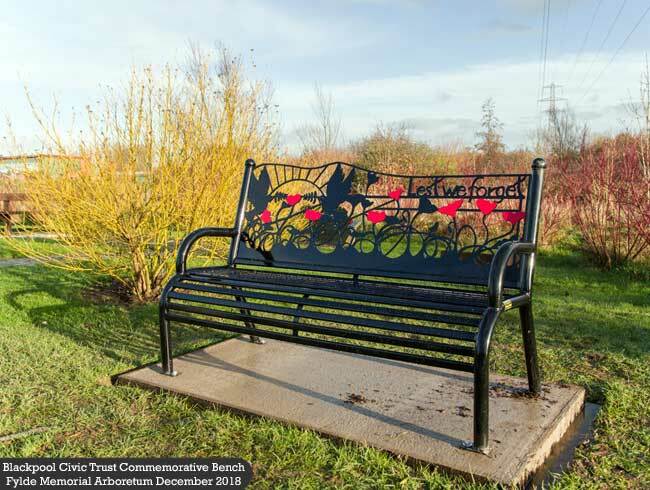 See more information on our Projects page. See our news page for information of what we've done and what we're doing. If you wish to speak at one of our meetings please contact our speakers secretary listed on the About Us page.